Sparkle and Shine: Girl look at that body!!! "wiggle wiggle wiggle wiggle wiggle... YEA!" Without blowing my own horn, I get a lot of comments on my hair. In my honest opinion this is because every morning I closely follow that old southern proverb "The higher the hair the closer to heaven". Laugh if you must but I think that nothing is prettier than big hair. Now does this mean I have a ratted up beehive... no. Does this mean I use a lot of products and techniques to get a ton of body into my hair... YES! Here are some of the top ways I pull of some killer body! -Blow dry, blow dry, blow dry. If I want to have good hair the next day I absolutely know that I am going to have to blow dry my hair. I use several different products when I blow dry. To start off I use a detangler. 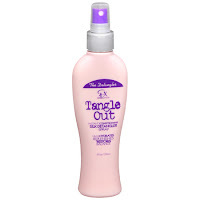 The one I have been using lately works as a detangler leave-in condition duo. It is by FX and it is called Tangle Out. I go through my hair with a large tooth comb after I spray my hair liberally. 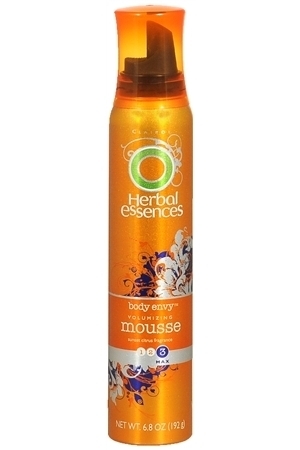 The next product I use is Herbal Essences Body Envy Volumizing Mousse. I put about a ping pong ball amount of this at the roots of my crown and comb it through. This is going to really cement the volume my blow dryer will put there. 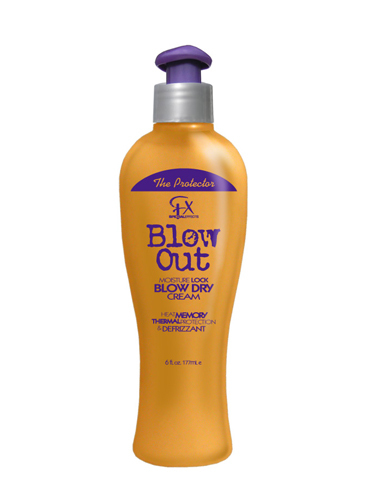 Then I add another product by FX, Blowout. 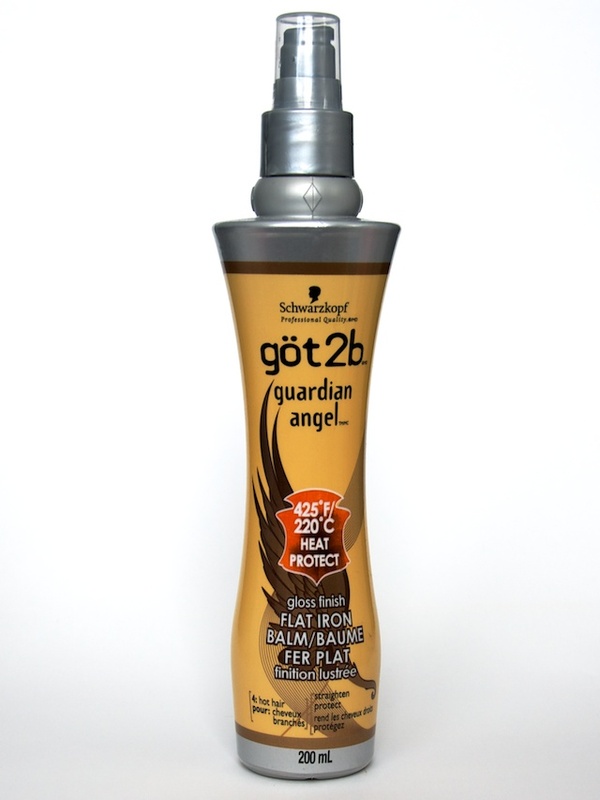 This is a type of blow dry lotion that will cut down on frizz and also acts as a heat protectant. 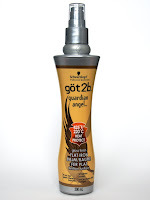 Heat protectants are so important and most people forget to use them when they are blow drying. Then I finally turn on the blow dryer and use a wide tooth comb to help dry. I know that many people use a round brush to blow dry but I have trouble with because my hair is soo long and I feel like I don't have enough hands... It is just not a skill I possess. For the first few minutes that I blow dry my hair I use a special technique. I will brush a section up and the opposite way I want it to fall and dry it that way. This really puts in some volume because it gives the undersides of the sections some stability. After I feel like my top layers are dry I turn my head upside down and finish drying my hair in this position. I cant do this the whole time because I get really light-headed! After my hair is completely dry I fire up the straightening iron. Of coarse I have to put a few more products on first. I use two different heat protectant sprays because I feel like the combo of two works best for my hair in terms of sealing out moisture fighting frizz, and making my hair really smooth. Plus you can never have too much protection from heat. 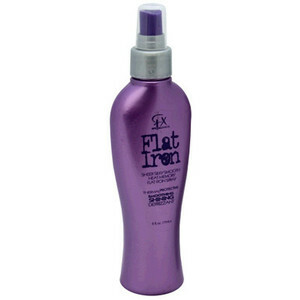 The two products I use are FX Flat iron and Got 2b Guardian Angel. When I actually straighten my hair I use the same technique as when I am blowing drying and straighten my hair in the opposite direction I want it tell fall. This is very effective in really setting the volume in your hair. To top it all off after I am done straightening I have a couple more products to put on my hair. 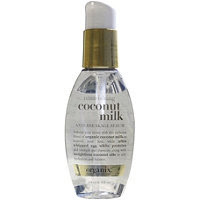 I use Organix Coconut Milk Anti-Breakage Serum on the ends of my hair. This product is super hydrating and really gives my ends, that are usually dry, a more polished healthy look. And the very last product I use is the Not Your Mother's Rise and Shine Shine Spray. 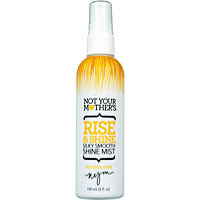 This product is a finishing spray that gives your hair a really nice shine. Use it sparingly though because in excess it can make your hair greasy. Well that is what I do to my hair to give it volume. I hope I can bring volume to other needy girls.